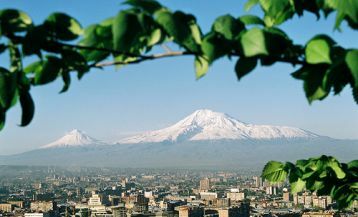 Armenian nature is beautiful and varied: mountain landscapes, alpine steppes and meadows, wild rivers and azure lakes. Below we offer you to get acquainted with the most beautiful and famous lakes of the country that deserve your special attention. Once in Armenia try to visit these unique places that are unlikely to leave anyone indifferent. Magnificent azure lake Sevan is located in Gegharkunik region at a distance of about 65 km from Yerevan. It is one of the highest and largest freshwater lakes in the world and its freshwater resources concede only to Titikaka. Sevan is so big that the locals consider it as a little sea. Its origin has volcanic nature: the eruption of lava in the northern spurs of the ridge Geghama flooded the ancient river valley. The formed basin begin filling with meltwater of glaciers and snowfields surrounding ridges and later by river water – thus formed the lake of unearthly beauty. The territory surrounding Sevan is an excellent place for a good rest: here you will find hotels and cottages to any taste, well-organized beaches, restaurants, those who wish will be able to take yachts and catamarans. And the surrounding beauties of the nature will not leave anyone indifferent: wooded hills and mountains, steppes, turning into alpine meadows. A real delight for a hot summer day! The season starts in late June and lasts until the end of summer, and the water temperature at this time reaches +18-23 °C. 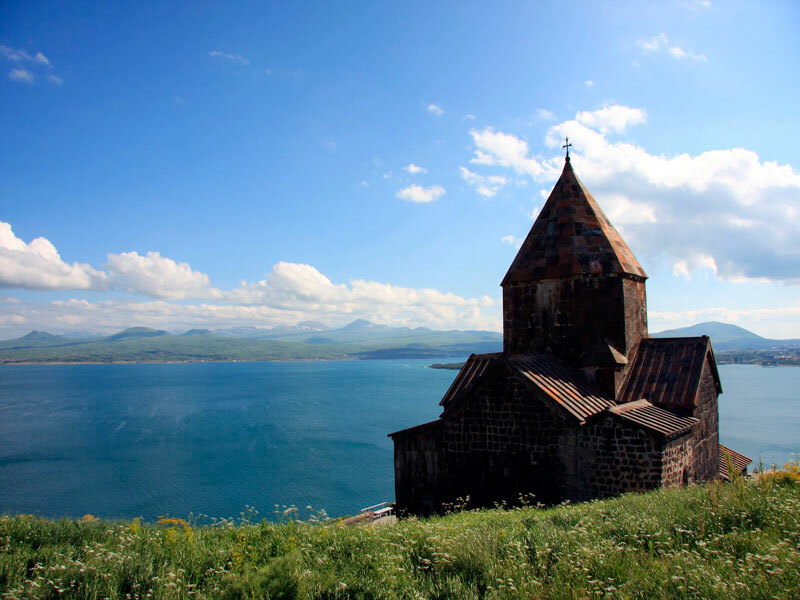 You can combine your holiday at Sevan with visits to different attractions among which the most famous is the ancient monastery of Sevanavak built in 874. We also recommend tasting local fish dishes among which the most favorite is “ishkhan” (Armenian trout). 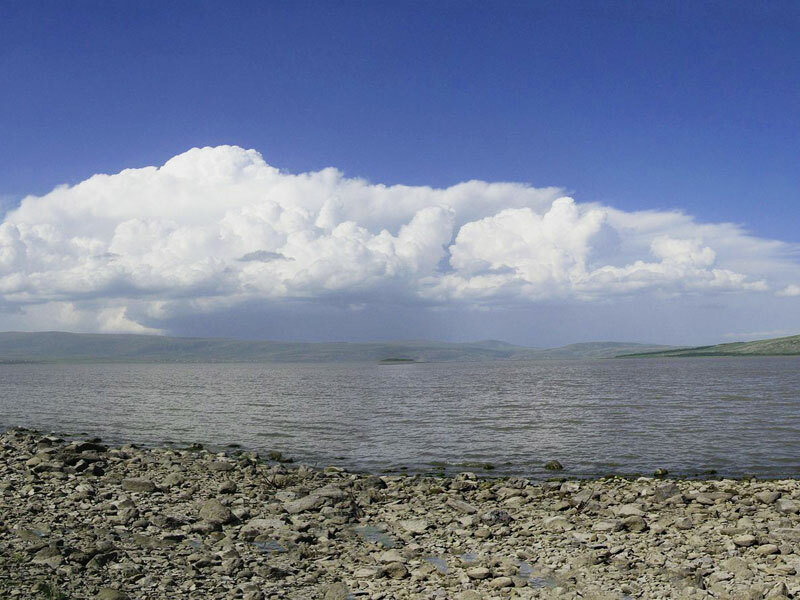 Once in Armenia try to necessarily visit Lake Sevan and enjoy its beauties! 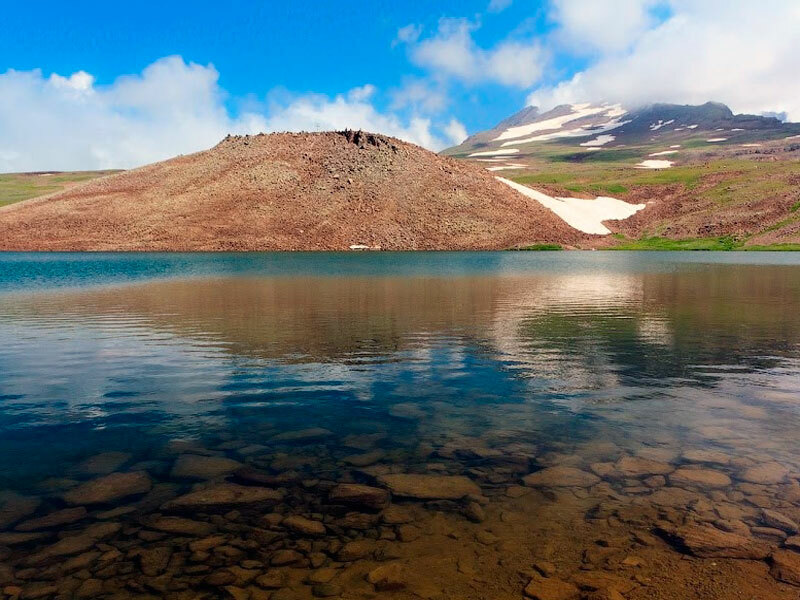 In Shirak region, there is the second largest lake in Armenia called Arpi. 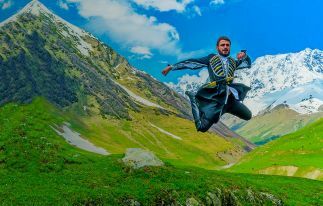 It is located at the altitude of 2025 m above sea level and takes its beginning at the River Akhuryan. The lake is known for its spectacular beauty, however, it’s rather cold and you won’t be able to swim there. Recently, the national park «Arpi» has been created here for the protection of flora and fauna. And now about 200 species of birds and 670 species of plants are protected here many of which are included in the «Red Book». The park offers excellent conditions for eco tourism lovers: here is a visitor center in the community of Kazanchetsi and guest house in the community of Berdashen. They offer different ecotourism services, hiking, horseback riding, bird watching and many other. Lake Akna is a delightful small lake located in the crater of Lchayn volcano on Geghama Highlands at an altitude of 3030 m above sea level. The famous trekking itinerary leading to Mount Ajdaak starts exactly from this lake. The way will take 6 km to the mount, and after climbing it you will also see a small and amazing lake in the crater. We recommend this itinerary to all hiking and trekking lovers. 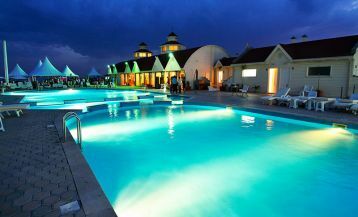 And though you cannot swim in the lake, you can enjoy a delicious beauty and get a lot of vivid impressions. 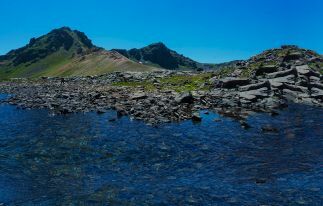 At the foot of the highest mountain of Armenia, Aragats, there is a small lake Kari. You can get to the lake by asphalted automobile road leading from the village Byurakan. The lake is alpine (3402 m) and most of the time it’s surrounded by snow, that’s why the water is cold. This small lake covering an area of 0.12 km2 admirably stands against the backdrop of the surrounding mountains and alpine meadows. In summer, the weather in this area is mild and warm – the perfect time for hiking. 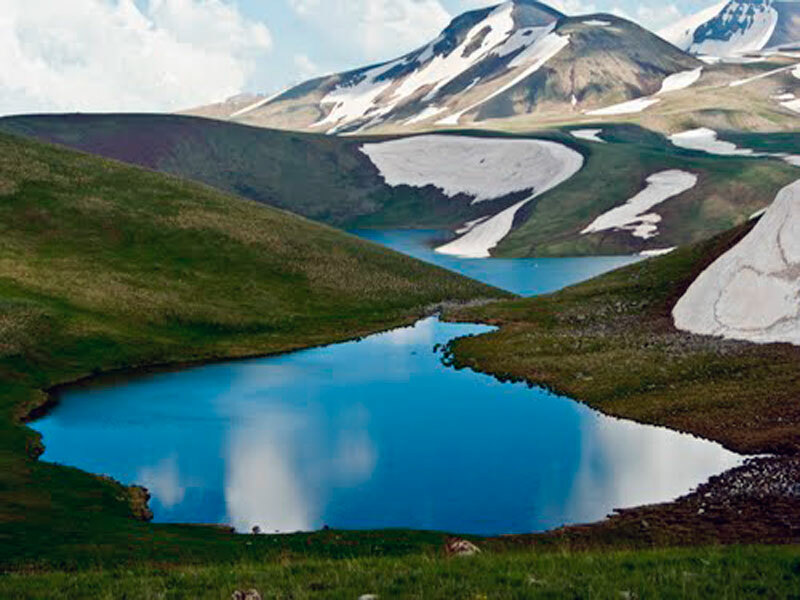 It is from here, where begins well-known among tourists trekking itinerary leading to Mount Aragats – the highest one in Armenia (4090 m). At the lake, you can open tents and make camps. At a distance of 95 km from Yerevan, there is a green and cozy town of Dilijan. 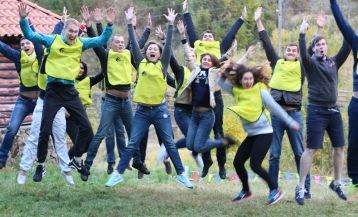 From all the sides it is surrounded by picturesque Dilijan National Park created for the environment protection. 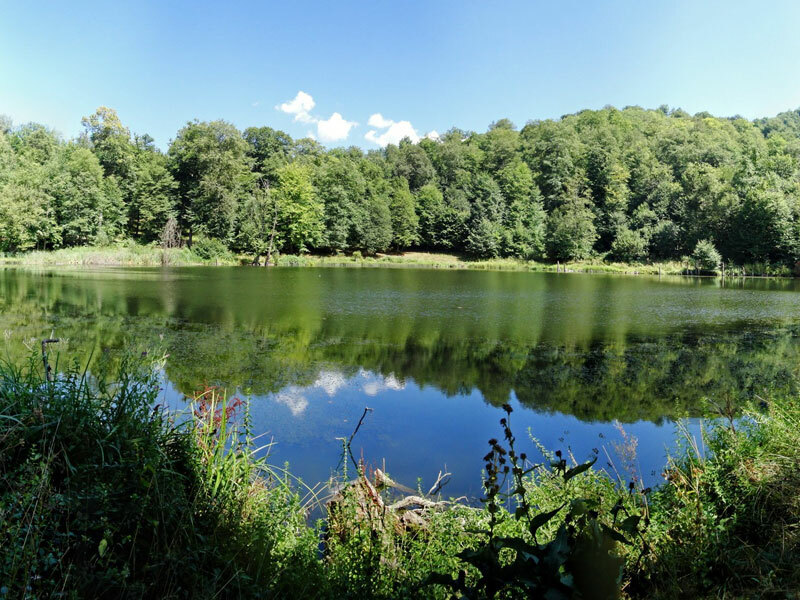 The gem of the park is a wonderful lake Parz which is translated as «clear, pure». You can get to the lake in 20 minutes from the town, just take the route leading to the east. From all the sides it is surrounded by powerful trees which tightly adjoin the shoreline and leaning they are reflected in the water. And the water is clean, transparent with a greenish tinge. The swimming here is forbidden, and the violators will even have to pay a fine. However, here you can have a good time and enjoy natural beauties. For example, by paying AMD 1000 ($ 2) you can open tents or have a rest in the gazebos ( $ 1) surrounding the lake. 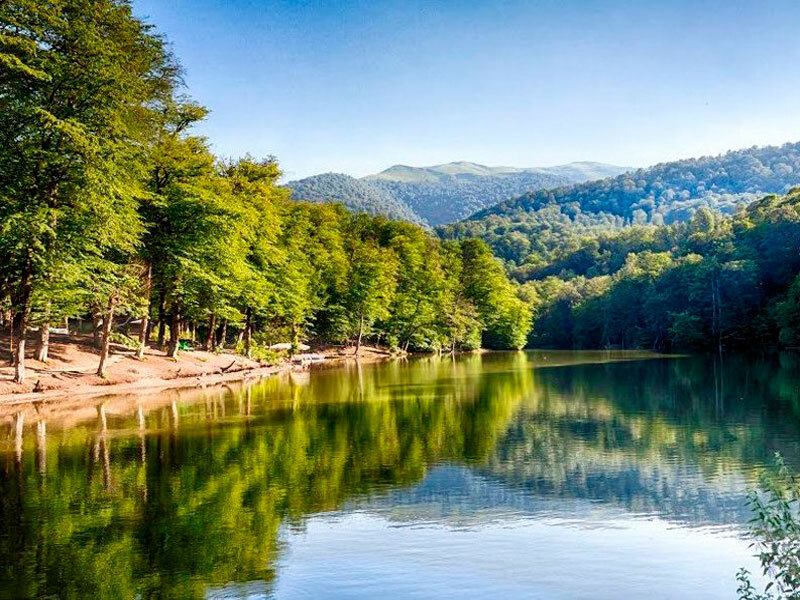 Another delightful treasure of Dilijan National Park is Lake Gosh, situated near the village of Gosh. It is rather small with the length of 100 meters and width of 80 meters. However, it is really worth visiting: on the background of magnificent nature reigns incredibly quiet and peaceful atmosphere – a real delight for the soul. On the territory, you can find different natural monuments: a variety of rock formations, mineral springs and more. And very close to the village of Gosh ancient history lovers can visit the monastic complex of Goshavank, founded in 1188.